Package lockers are a big investment. If you’re considering getting a locker system, it’s important to ask these six questions during your due diligence. You’ll set your property up to make the most out of your lockers, and also avoid several potential headaches down the road. Know what to prepare for now, and you’ll prime your property for years of simple, easy-to-use automated package acceptance. If you’re looking for hard data on the package problem, check out this infographic. 1. How will I handle extra-large packages? Of all the packages that are delivered to multifamily complexes, 13-20% are “extra-large”. Extra-large packages don’t fit into normal lockers, and if you don’t have a plan for them, carriers end up delivering them to the front desk. That’s almost a fifth of all packages that you and your staff will personally have to deal with—and it’s exactly the kind of boxes (huge and heavy) that are the most difficult to handle. 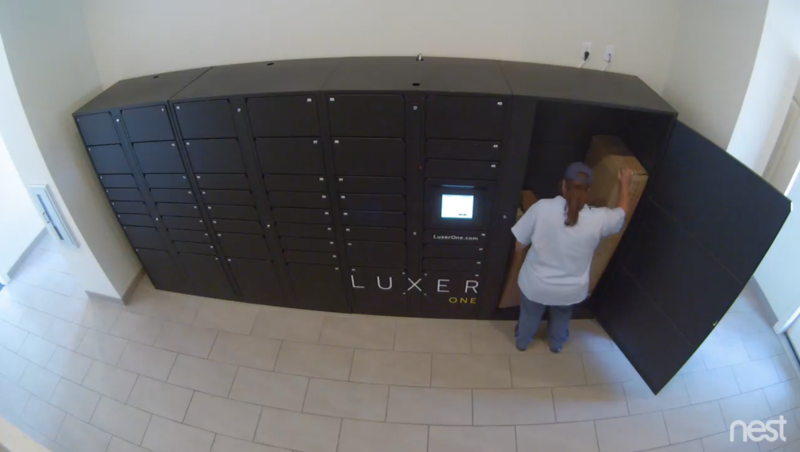 If you don’t want to accept oversized packages at the front office, solutions like the Luxer One Oversized Locker are specifically designed to accommodate extra-large packages. You can choose whether to make the Luxer One Oversized Locker a shared resource, or a single-package locker like the rest of the lockers. We recommend using it as a shared resource, as that’s how we designed it to work; the Oversized locker can accept several extra-large packages at once. Using it as a shared space is significantly more space-efficient and cost-efficient than installing multiple Oversized Lockers. Keeping a shared locker secure. If you do decide to use the Oversized Locker as a shared resource, the locker system has extensive measures in place to ensure security and accountability. Only residents with a single-use access code can access the locker. The system logs each time a resident or carrier opens a locker, and the code means that we know exactly who accessed the locker and when. Plus, 24/7 video surveillance ensures that in the event of a misplaced package, our support team can review the footage to see exactly what happened. 2. What’s my overflow solution? 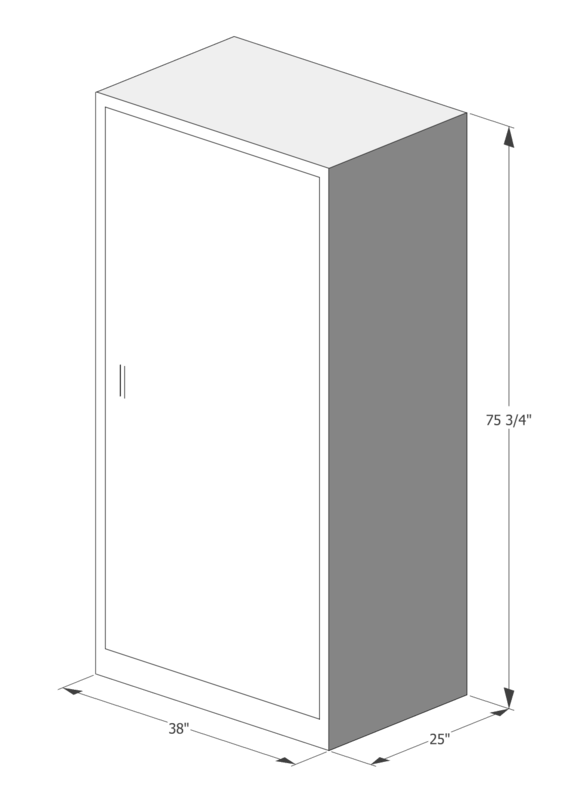 When you order your locker system, your vendor will help determine how many lockers your property needs, and in what sizes. This balances locker availability with package volume, but sometimes – especially around the holidays – even an extensive locker system can be filled to capacity. 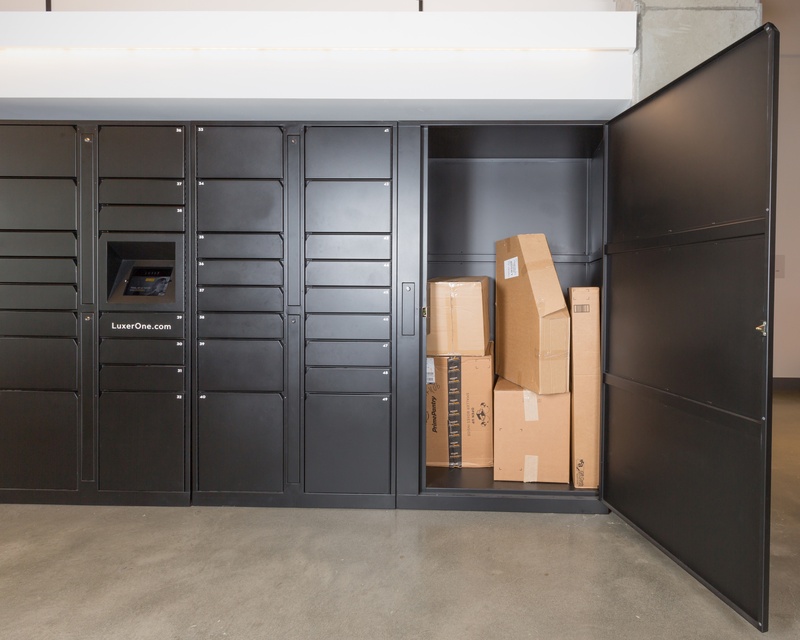 The simplest solution is to have your Oversized Locker double as an overflow locker to accept any extra packages delivered. Since it’s already designed to allow for multiple deliveries, it can easily take in overflow. This allows you to automate 100% of your package volume, rather than having to go back to accepting overflow packages manually. Your residents stay happy, packages are secure, and you keep a hands-off approach to package acceptance! You can also look into options like the Luxer Room, which are far less sensitive to spikes of package overflow. 3. How important is video surveillance? The “automate” in automated package management system means that you and your staff don’t need to babysit package delivery and pickup. But it’s incredibly useful to keep tabs on your locker system in a different way – through video surveillance. Locker-integrated video surveillance has many benefits, and is a simple but vital feature that keeps your package management system working as smoothly as possible. An ounce of prevention is worth a pound of cure, and archived footage makes clearing up potential issues fast and straightforward. Find a package locker option that offers fully integrated video surveillance and support together; look for wall-mounted video cameras that can “see” the entire locker area (not just a face at the touchscreen), as well as a 24/7 support team that handles all video monitoring. It will make your life – and your residents’ lives – easier for years to come. 4. How do I ensure all current residents can receive packages? Simple, but important: make sure your residents have a way to get their package notifications! They can receive their one-time access codes by email, text message, or both. At minimum, residents will need a working email address to set up an account. Be sure to cover this when onboarding residents to your locker system. Sometimes packages arrived with misspelled names, or don’t match up to a specific resident. Make sure your locker system has a house account that will accept these packages, which would otherwise fall through the cracks. Make sure your locker company’s software integrates with your current property management software. Reliable integration will automatically keep resident status up to date, and keep the system functioning smoothly. Luxer One’s native integrations keeps your resident list synced with your property management software automatically. Move-ins, move-outs, and any other resident updates are seamlessly kept updated in both your property and package management systems. As for the package system’s software itself, choose one with an inuitive, well-designed interface that makes using your system simple for both you and your residents. A user interface and experience that residents and carriers love to use is one that they’ll gladly come back to again and again. 5. How can I customize lockers to my brand? Package lockers are an amenity that residents will associate with convenience and ease of living. Make the most out of that! Put your signature colors and branding on your locker system. 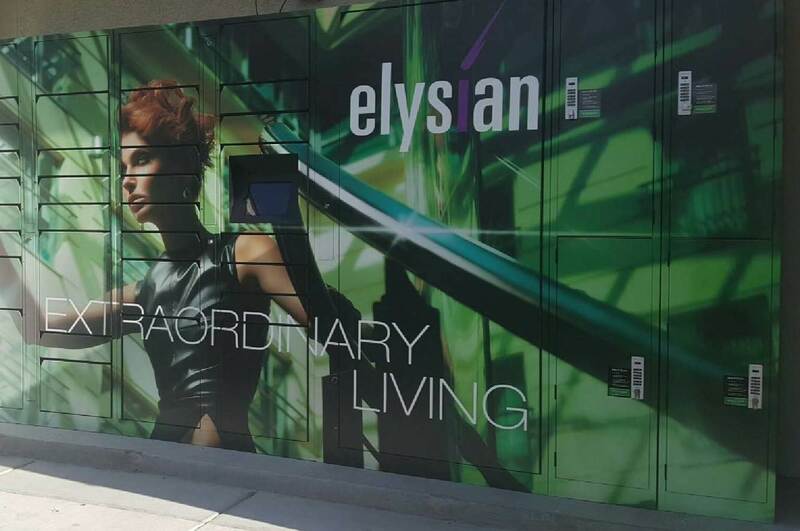 To take it a step further, ask about integrating your branding into the actual user interface of the touchscreen to strengthen the connection your residents feel between the convenience of the locker system, and your community. Color options for lockers are incredibly flexible. For the best results, choose a color that goes well with your community’s decor and is consistent with your apartment’s signature colors. You can even go bold with a complex wrap that speaks to your community’s unique characteristics. Your residents interact with the lockers on a daily basis, so it’s a great place to show your true colors. 6. Should I charge residents for package acceptance? Package lockers can be a simple way to generate a little extra income. In some cases, charging residents even improves the package management process. However, it’s not the right fit for every property. If you want to charge residents for locker use, there are several different options to consider. It’s a decision that’s best made before you set the system live, in order to have the smoothest adoption period possible. You can read this whitepaper to learn more about the pros and cons, and decide if charging is right for your property.